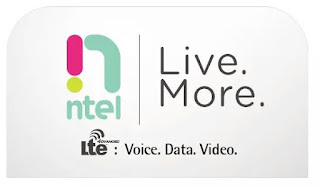 The Ntel 4g network is no more new to us as many of us are already aware of it. And although the Ntel sim cards works only on 4g enabled devices, what many people don't know is that not all 4g enabled devices are supported. The Ntel sim cards works only on devices with LTE and VOLTE. With the VoLTE which simply means Voice Over LTE, voice calls are made over 4g LTE network compared to the regular 2g and 3g network you are used to. Although most new LTE smartphones supports this features, I have just decided to list some of the supported devices so as to save you the stress of searching. Note that those devices listed above are few of the supported devices. If you know of anyone I omitted, just drop it in the comment box below and I will try to update the list. Sorry for not commenting in the right post. Sir Prof. I have a great problem that make my life miserable. I hope I can get an urgent answer from you. I tried to flash to phones, a Gionee M2 and Techno S3. The Gionee M2 is completely dead which my PC can't detect and the Techno S3; when trying to flash it with the SP Tool, it shows errors like; Error 2005 and S_FT_Enable_DRAM_Fail (0xFC0). Your answer is highly needed in a quickest possible time.